Augsburg, February 7, 2019 (PR) − At the Energy Storage Europe trade fair in Duesseldorf (Germany) from March 12 to 14, MAN Energy Solutions will present an extensive portfolio of storage solutions, including Power-to-X applications, its ETES (Electro-Thermal Energy Storage) energy management system, as well as battery-storage and hybrid systems for decentralised energy generation. 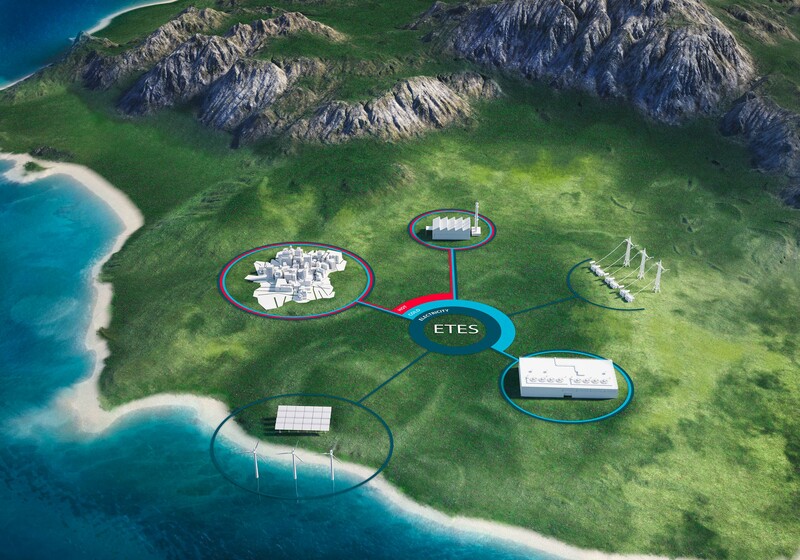 The company's broad portfolio of decentralized and flexible power-plant solutions combines renewable energies and highly-flexible gas engines with energy-storage solutions to create intelligent energy-management systems. In 2017, MAN Energy Solutions expanded its expertise in this segment by acquiring a stake in Canadian battery-storage-specialist, Aspin Kemp Associates. Today, MAN Energy Solutions offers battery-storage solutions for a variety of different applications and integrates them into power grids or hybrid-energy solutions.